I am sometimes asked "do you say bad things in a reading"? Sometimes I have to talk about difficult things like loss or hardship so in that sense, yes. Some people are under the assumption that readers have restrictions. Although many of the readers that I know (myself included) do have ethical boundaries, not all do. There are no enforced guidelines for readers as far as I know. In my practice though there is a standard that I follow, what I receive is always information that can be used constructively. I don't leave people in worse shape than I found them. At the same time I might not always say what a person wants to hear. Sometimes people say "you never said anything about trips". To which I sometimes have to say that didn't seem to be an issue, I then ask "why are you planning one"? and often the answer is no. I remember when I was beginning my career and working in an establishment where there were other readers it was suggested that we follow a certain format of what people wanted to hear, trips, romance, lucky numbers etc. I asked "but what if that is not the reality of things", and got a blank stare. So now if asked about something like that, I try to respond to what is blocking the person, maybe they look after others so much there is never time for a trip. Maybe they need to set up a savings account for travel, maybe they need to go on a trip whether or not a stick in the mud in their life wants them to stay home or not. This comes back to a basic difference between fortune telling and reading. Fortune telling is usually about things that may (or may not) happen in the future, usually with little grounding in the here and now. The "you will meet a tall, dark, handsome stranger who will take you to an island etc.". A reading is usually based more in the here and now and talks about the probable outcome of things that we are consciously and unconsciously setting in motion. 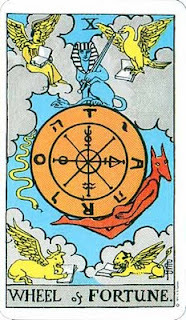 A reading would approach the issue with something more like; "there seems to be an imbalance, you're working a great deal and have been operating in the same circles, maybe you need to expand your horizons". The reading could point to something such as an opportunity in the year ahead to re-connect with people and sometimes more specifically like; "in the west, I'm getting associations this side of mountains, not a big city, more like Lethbridge, two homes close together, one a very new household that someone will be proud to show you", and further "this trip could be an opportunity to re-connect not only with people but also with a part of your life that hasn't been explored in a long time". So the issue isn't JUST the trip but what it indicates constructively that the person can actually work with. Readings and Tarot, as far as I work with them are not just circumstantial weather reports but tie in more to how we are evolving. Fortune telling in it's healthiest aspect is entertaining and escapist, there are some who approach it that way and that's fine. A reading can also be approached in an entertaining lighter way. Sometimes people are just coming from a place of curiosity, food for thought or diversion. I'm fine with that too. Different tools also work well with different types of intuitive work. I've experienced profound as well as entertaining things from tea reading (which, when done well, is a beautiful art). 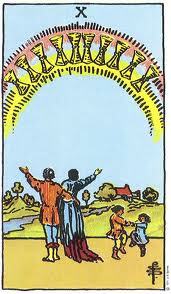 Tarot can be utilised in many different ways too. Generally when I have had to do shorter readings, such as in restaurants, fairs or still occasionally for charity drives. I work in that lighter way. I sometimes use humor in how the information is conveyed. Above all a reading should be INTERESTING. It is a personal service where the client is the focal point. the type of work I do is relevant to the person being read. In that same vein, questions about other people are somewhat limited. I cannot, for instance, pick up on what your ex from 4 years ago, that you haven't heard from, thinks of you. I can, however, help with what you might be needing to resolve. A reading could say; "you seem to have some resolution going on with someone who factored in your life from a chapter of about 4 years ago. There's an opportunity to see differing values and to see what you have outgrown". 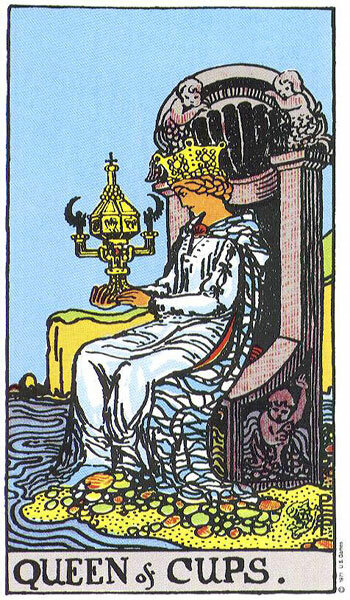 Tarot is also subjective, what could be a knight of cups to one person might be an entirely different aspect to another. A reading can warn about difficulties like abuse, issues around addiction or other pitfalls. It cannot diagnose or judge. I am not about to say something is good or bad in itself but I can say this doesn't seem to be a healthy situation. 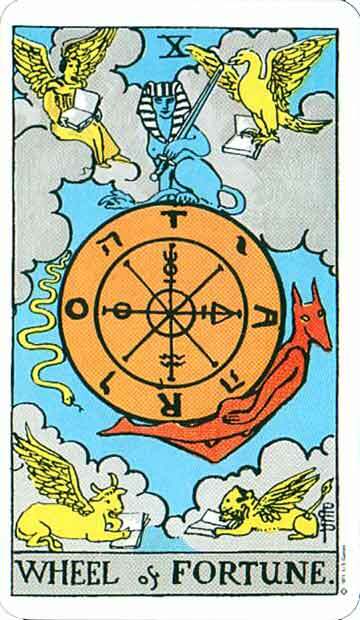 One of the premises of Tarot is the "law of attraction". This works along with the idea that there is a connection running through our life experiences. Attraction is not the same as retribution. No one deserves to be in an abusive relationship. We can look though at our issues of self worth where we seem to be attracting negativity. This is also a major difference between fortune telling which places an emphasis on luck or curses and reading which (hopefully) will talk instead about what is in our power to change. in the sense of discussing difficult things, I also have to be diplomatic in addressing the client's issues. A person having difficulty with work, for instance. Might be carrying a lack of respect for a boss they feel is incompetent or there may be a serious lack of admiration to their colleagues. Sometimes the answer is looking for another opportunity in that work environment, changing fields OR it may be that they have to make a change in their attitude. Working intuitively as well as with the cards often helps a good reader to point out what is in our realm to change and what isn't. Sadly I sometimes encounter people who don't want to look at their stuff. Over the years I have encountered numerous parents who think an in law has done some form of voodoo that their married adult kids don't want to talk to them rather than look at their own state and demeanor in dealing with others. 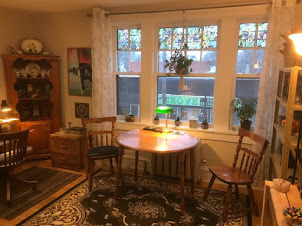 People like that will go for readings, making the rounds regularly, spend inordinate amounts of money until they hear what they want to hear somewhere.I try in a situation like that to steer the person to things that can ease the relationship. Are they doing things to be happy even if they have this difficult person in their life? Can they enjoy the positive aspects like other people in the environment? Often in this particular situation there are different cultural values that have to be met halfway and given a little credit when others try. Sometimes a reading can also help us identify what is NOT our stuff. Sometimes, like in the previous example, the other person IS in the wrong, so how do we behave in these circumstances? I know of one such person who got involved with others in the same boat, became supportive of them and found their life somewhat happier through the compassion that came from that. After a while, by not dwelling on the difficult person they found their overall relationship with family improved, because they had changed their relationship with themselves. 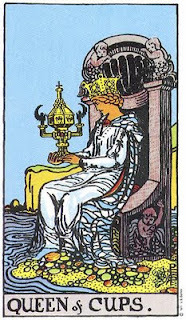 In the end a reading gives us some alternatives and choices, as well as some feedback, maybe a different outlook on our circumstances as well as insight to how we are evolving. One of the reasons I love my job is when people come back happier, not just because of luck or good weather, but because they have grown.